As we creep towards the end of the year with no new phones on our radar and countless major releases now in our rear view, it seems like the perfect time to ask which phone you are currently carrying. We last asked in May, but since then have seen releases like the Moto X, Galaxy Note 3, LG G2, new DROID family, and of course, the Nexus 5 (our review). We also saw the HTC One finally reach Verizon and haven’t forgotten about other early flagships like the Galaxy S4. If you think about it, we have actually had quite the phone-filled year. 2014 has a lot to live up to. In the poll below, we’ve listed out most of the major phones that we figured would be in your pockets at this stage. However, we can’t cover them all or this list would run off the page. We included a “other” category, so if your phone isn’t listed, be sure to pop in the comments and say which it is. Also, don’t forget to drop in there and mention which carrier your phone is on. 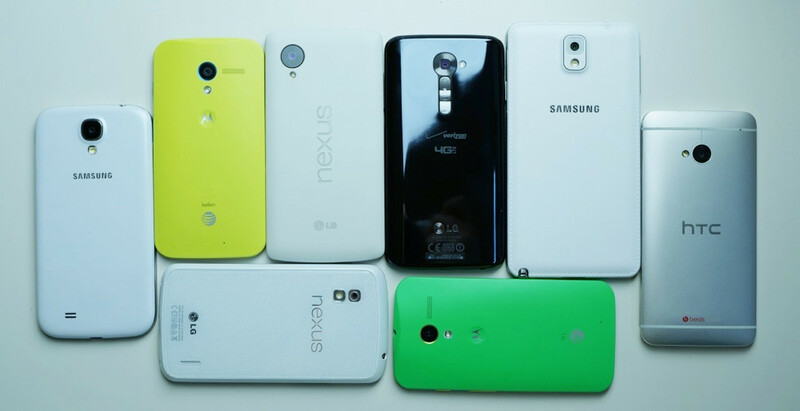 We’re dying to see which prepaid carriers that new Nexus 5 owners have jumped onto.